In the shadow of the newly renamed mountain Denali, amid Alaska’s meadows and icy streams, a former teacher and a four-time Iditarod winner built a modernist cabin as expansive as the Last Frontier. In Canada's Yukon Territory, a college instructor builds a lightweight, efficient 97-square-foot mobile dwelling. A super-insulated envelope and a heat-recovery ventilator help keep the Leaf House comfortably warm, even in the brutally cold Canadian winters. 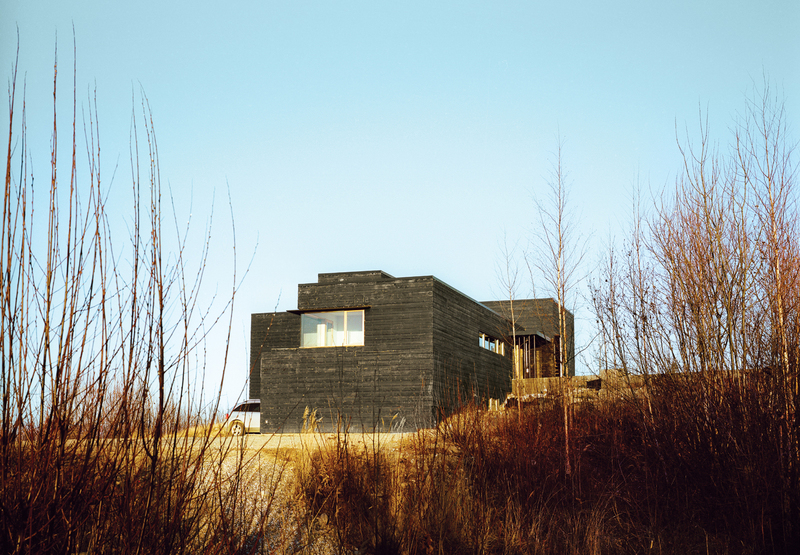 Though the Cook Inlet is nearby, from the street, this Anchorage house’s simple facade gives little indication of the sights that await a visitor. In far-northern Sweden, just 32 miles south of Arctic Circle, a 13-by-13-foot tree-house hotel blends into the surrounding forest so well that the architects plan to cover it with a transparent ultraviolet film to alert flying birds, so they won't smash into it. Near Anchorage, architect Steve Bull designed a high-impact, low-maintenance home for a pair of intrepid clients in Alaska, but that was only the beginning of the adventure.